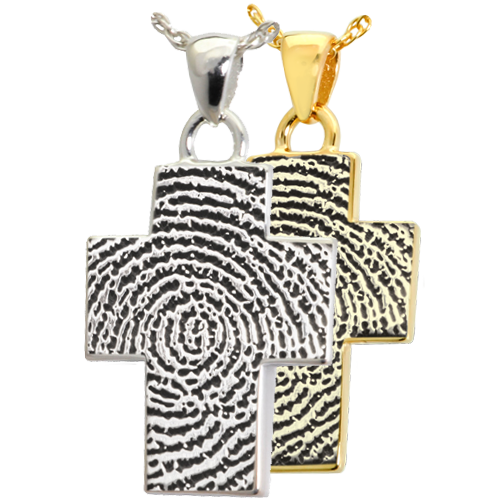 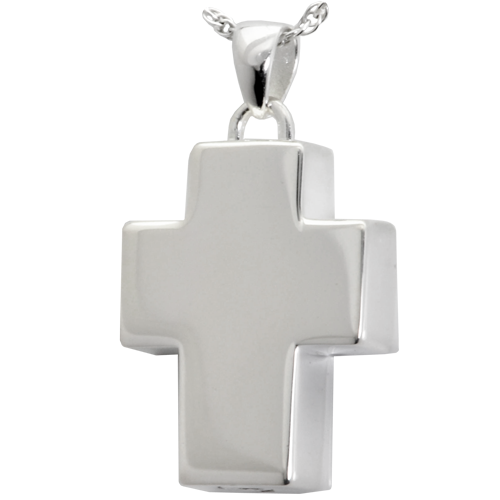 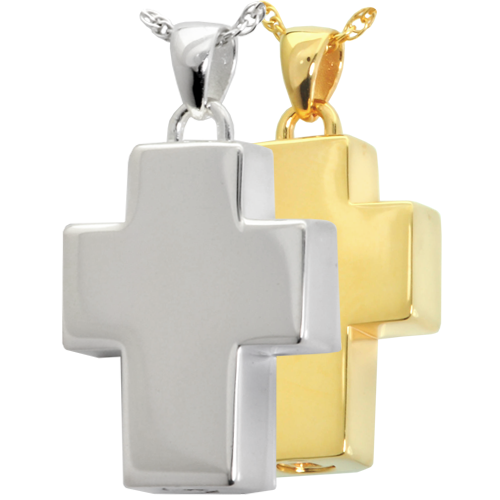 This spiritual cross charm has an interior memorial chamber to hold tiny memorials such as a bit of ashes. Threaded lid closure with rubber gasket keeps contents safe from air and water. 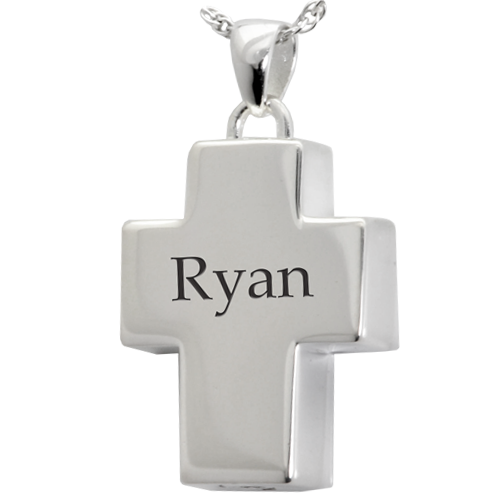 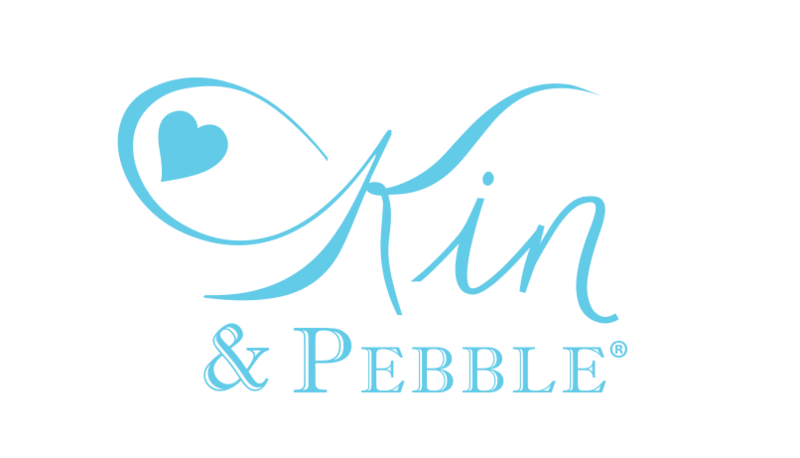 Front and back can be engraved with choice of script of block font.